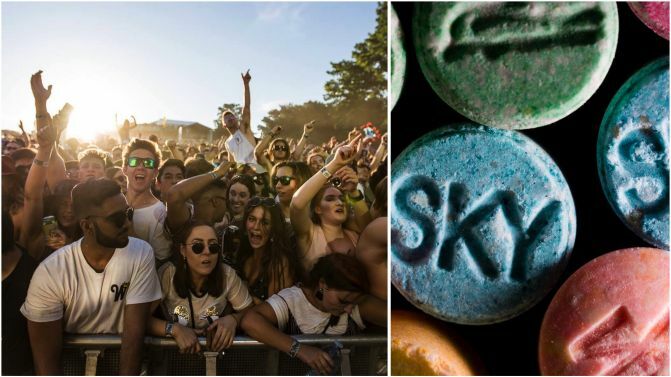 A doctor involved in the now-cancelled pill testing trial at Canberra’s Spilt Milk festival has suggested that political “pressure” may have led the event’s promoters to backflip on their plans for pill testing services. Dr David Caldicott, who is part of the pill testing consortium Safety Testing Advisory Service at Festivals and Events (STA-SAFE), has told the ABC that he disputes Spilt Milk promoter Kicks Entertainment’s claim that the pill testing trial was cancelled because STA-SAFE had not provided the correct documentation in time. Dr Caldicott said STA-SAFE “provided every piece of documentation that has been requested”, and that there were bigger factors at play. Dr Caldicott said STA-SAFE place “no blame” on Kicks Entertainment Director Ryan Phillips. “He is trying to put together an event which other forces are happy to use to ensure pill testing in Australia doesn’t occur,” he said. The National Capital Authority (NCA), which manages Commonwealth land in Canberra, has denied that any pressure was placed on Mr Phillips. However, it’s been confirmed that ACT Opposition Leader Jeremy Hanson wrote to Federal Health Minister Greg Hunt and Minister for Local Government and Territories Fiona Nash in September, in order to bring the planned pill testing trial to their attention. “The Spilt Milk festival is at Commonwealth Park, which is on Commonwealth land. Pill testing will need Commonwealth Government approval and I doubt that they will give it. Meanwhile, NCA chairman Terry Webber has said it’s his understanding that Mr Phillips decided to cancel plans for pill testing at Spilt Milk. “If he makes that call, which it sounds like he has, then we’ll work together with him for next year,” he told the ABC. Mr Webber also said there was no deadline on STA-SAFE and Kicks Entertainment supplying documents to the NCA, which contradicts Kicks’ earlier statement. STA-SAFE say they remain determined to conduct a pill testing trial in Canberra in the future. Spilt Milk will take place on Saturday, 25th November.